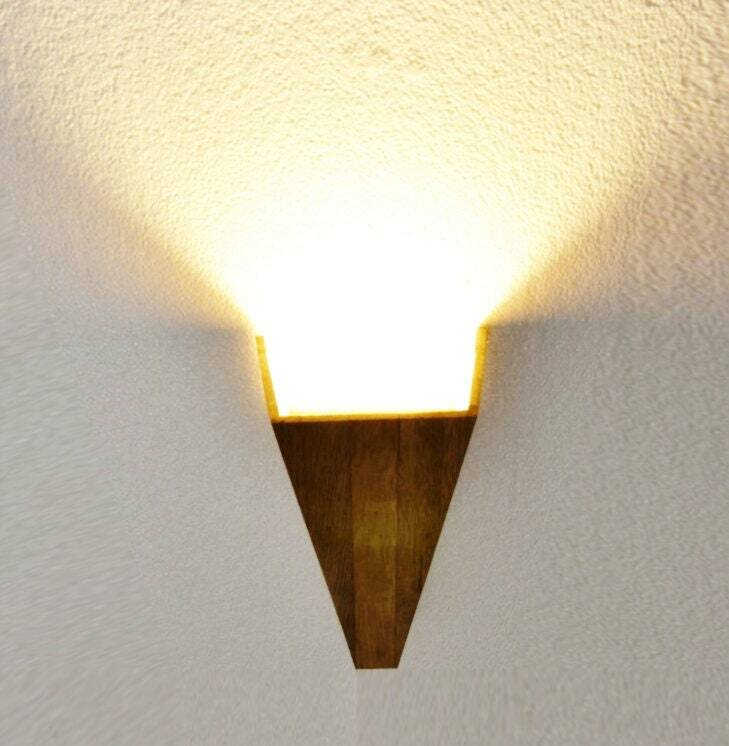 Chitzen is a design wall scone in triangular form. 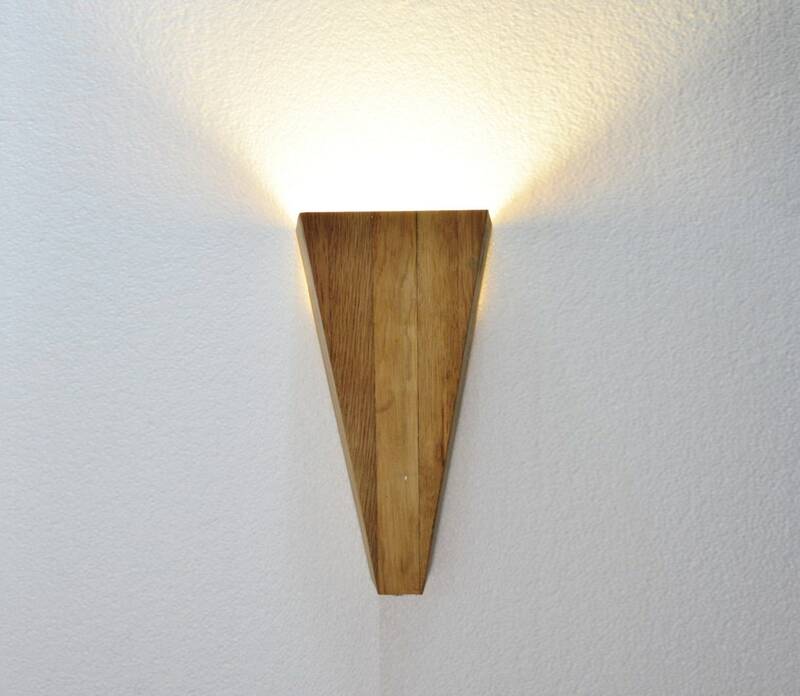 This special lamp is made of recycled oak flooring wood removed from a old French Mansion. 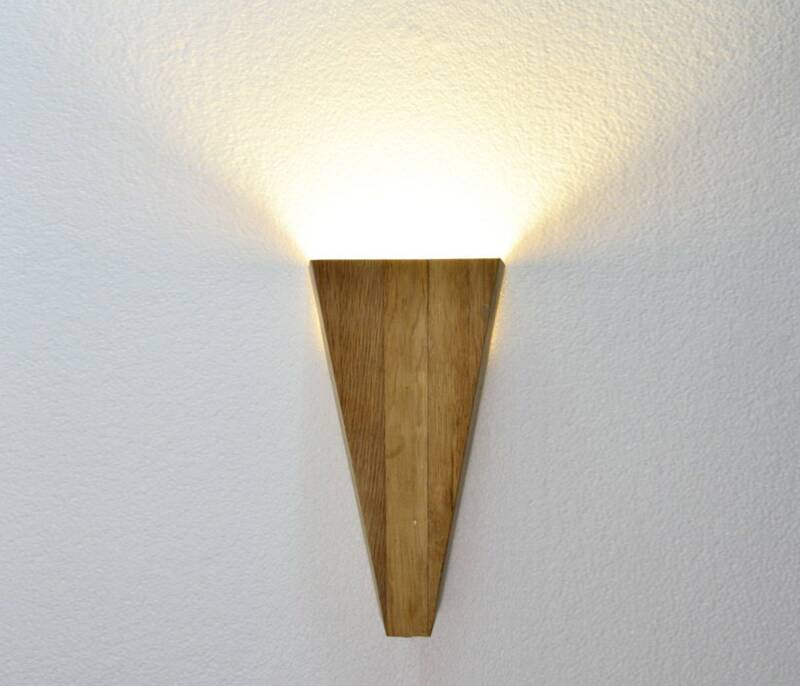 This wall lamp fit in every room because of it's very modern, pure geometric form. 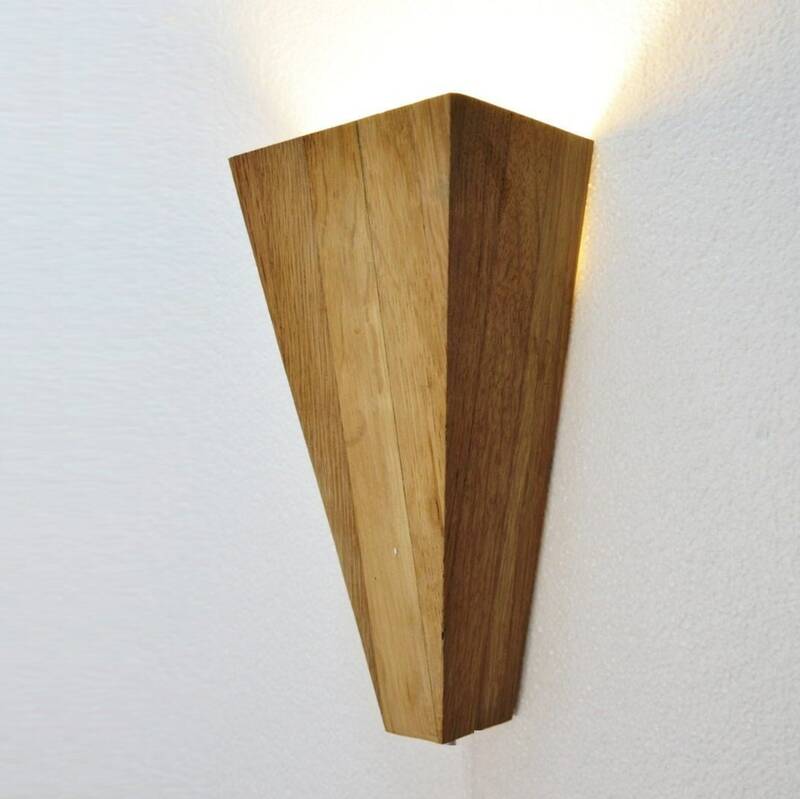 This lamp is made by hand, size and finish can slightly vary. 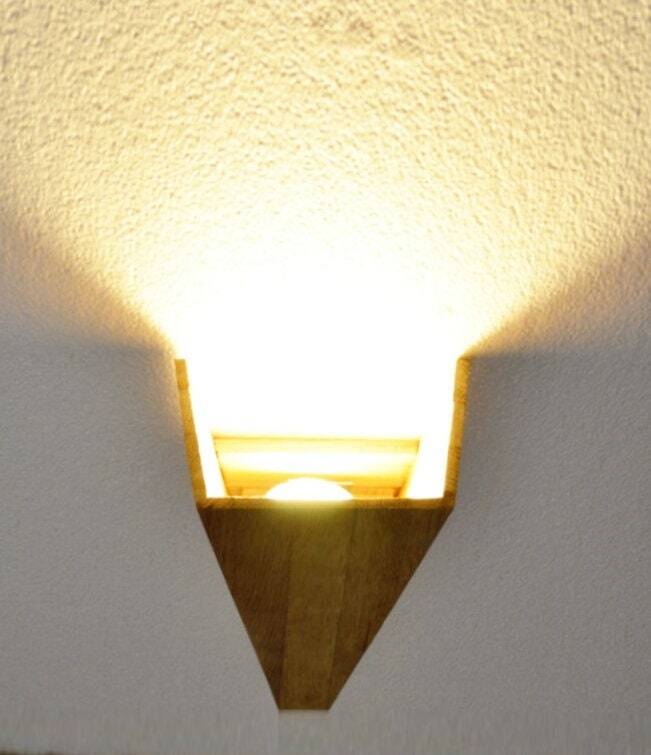 Fit with a economic light bulb.